Always wash your hands thoroughly after handling a reptile, amphibian, or its cage. Do not allow a reptile or amphibian in the kitchen or other food preparation areas. Do not wash reptiles, amphibians, their cages or their dishes in the kitchen sink. If the bathtub is used for that purpose, clean and disinfect it thoroughly with bleach. Do not let reptiles or amphibians roam about the home. If you are expecting a new child, remove the reptile or amphibian from the home before the infant arrives. 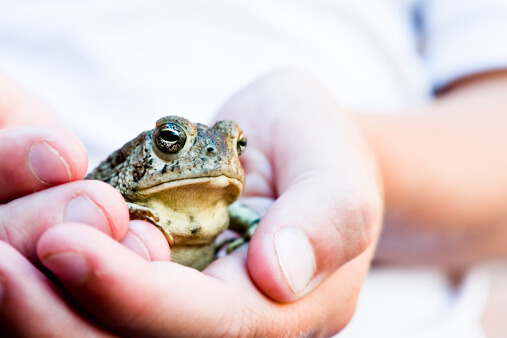 Keep reptiles and amphibians away from children younger than 5 years of age and individuals with poorly functioning immune systems.